The federal government is using advanced technology to capture the license plates of people attending gun shows, according to a report in the Wall Street Journal. That’s illegal, claims Gun Owners of America, pointing out that the 1986 Firearm Owners Protection Act prohibits the federal government from “recording, storing and registering” information about law-abiding gun owners. The government cannot legally create records of gun buyers except temporarily for background checks – yet federal agents recorded and maintained records on people attending gun shows. Local police have long used license plate reading technology to randomly capture information from thousands of cars. 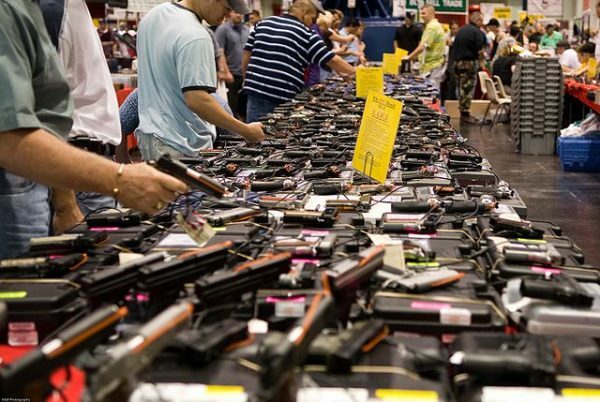 In this case the Immigration and Customs Enforcement Agency (ICE) in San Diego persuaded local police to cruise gun show parking lots and turn the information over to the feds. ICE told the WSJ that it has no written policy on using license-plate readers and that agents could continue such surveillance operations in the future. For many citizens, mass data collection targeting people not suspected of any crime smacks of an invasion of privacy and government abuse. For others, it is an important tool for law enforcement to use in pursuing dangerous, illegal activities.